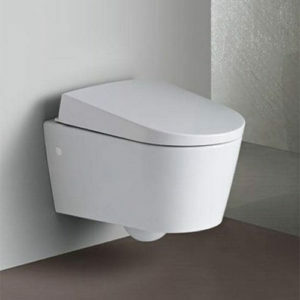 Offers innovative solutions to enable safe, economical and beautiful toilets. Our shop carries two of their best to help you and your designer in building your dream toilet. 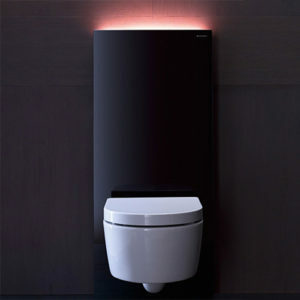 Monolith system provides the complete sanitary unit with a beautiful glass and aluminium cover. Variant models available to support both standing and wall-hung WC. 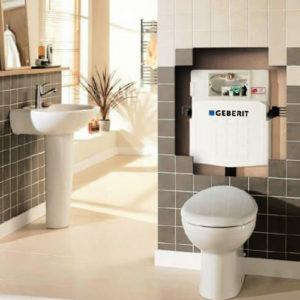 Concealed cisterns replaces your traditional tanks to allow a slimmer fitting and remove the look of bulkiness. You can add your desired cover to give a clean and sleek finish. We carry two award-winning WC series, Aquaclean sela and Aquaclean 8000plus. Each comes with a customised Bidet designed to match perfectly with the WC system.